METHODIST CHURCH. THE GROUP WAS ASSISTED BY JAMES A.
CREEK NORTHWEST OF THE ORIGINAL PLANO TOWNSITE. WHEN A LARGER FACILITY WAS BUILT AT THIS SITE. Oldest Methodist Church in County. Judge Brown's article says: "It is a praiseworthy task on the part of the Daily Courier-Gazette and Weekly Democrat- Gazette to seek to learn and to preserve local history of any kind. 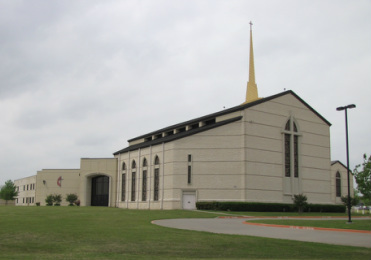 Your report of the Bethel-Frisco Eighty-Sixth anniversary was of unusual interest to me for the reason that I was already familiar with much of the history of this church and of the denomination in Collin county. I received my information along this line directly from my parents, the late R. H. Brown and wife, and my grandparents, Joseph Russell and wife, and John D. Brown and wife. "In this connection, I desire to add some history that was not contained in your report, and which really was not necessary to be put in your report. What I am adding is merely supplemental to the data already in your possession. "On December 17, 1845, Joseph Russell and wife and children: Mrs. Mary Stone, a widow; Miss Isabel Russell, who later became the wife of Rev. John Beverly; Miss Elizabeth Russell, who later became the wife of Robert H. Brown, and Joseph Warren Russell and Nancy Russell Brown, wife of Sam P. Brown, all crossed the Red River at Old Fort Warren in Fannin county. "There was another family who came along with Joseph Russell. This family was John D. Brown and wife and the following children: Sam P. Brown, mentioned above; R. H. Brown, mentioned above; Sarah Brown, who later became the wife of Rev. William C. Quigley; Eliza Brown, who later became the wife of Martin Stelzer, and Elizabeth Brown who later became the wife of James Bell. This group of immigrants, all came from Independence, Jackson county, Missouri. "John D. Brown and his family settled on Honey Creek, about twelve miles northwest of McKinney, in what is now known as the Cottage Hill-Weston community where they were friends and neighbors of the pioneer Culwell family, mentioned in your report of the Bethel-Frisco church anniversary. "Joseph Russell settled on Rowlett creek, near the old Indian hole, about three and a half miles north of Plano. "My mother was Elizabeth Russell, mentioned above, who later became the wife of R. H. Brown. She is a sister of Isabel Russell mentioned above and other members of the Russell family. Another sister Mrs. F. F. Morrill, who was the mother of Mrs. S. W. Miller of Frisco and of Mrs. Robert W. Gribble of McKinney. She was about three or four years of age when the family came to Texas. She was the daughter of Mary Stone, mentioned above. "My father, Robert H. Brown, and his brothers and sisters have always taught me, and it has been taught to many others, many, many times during the old camp meeting days on the Culwell camp grounds on Honey Creek ant at Bethel in West Collin, and White Rock in Dallas county, that the First Methodist church, in Collin county, was created or organized in the home of Joseph Russell, my grandfather, in the spring of 1846. "I do not recall who organized it. My present recollection is that the original charter members were: Joseph Russell and wife; their widowed daughter, Mary Stone; their unmarried daughters, Isabel and Elizabeth Russell; their son-in-law, Sam P. Brown, and his wife, Nancy Russell Brown, and probably their son, Joseph Warren Russell, and their little granddaughter, who afterwards became Mrs. F. F. Morrill, mentioned above. "Religious services were continued in the home of Joseph Russell until the building of the schoolhouse on Spring Creek, about 1854 or 1855. The Methodists then built a church about the year, 1873 o4r 1874, in the southwest part of Plano, near where the interurban crosses the Cotton Belt railroad. Of course, that was before the time of the coming of either the Cotton Belt railroad or the interurban. The building was located northeast of the cemetery , at Plano. "In 1893, Rev. F. O Miller, then pastor at Plano; J. H. Bowman and George W. Bowman were trustees of the church and also on the Building Committee when the present church in Plano was erected. Jim Florence was the contractor who built the first church in Plano about 1873 and also the present church in 1893. His wife was a sister of the Bowman brothers. "Rev. F. O. Miller, Jack Bowman and George Bowman, trustees, several times visited my mother, who was still living in Plano, in an endeavor to get her consent to let them have the old leather-bound hymn book, which her father, Joseph Russell, had brought with him from Missouri to Texas. This same old leather-back Methodist hymn book was used at the organization of the first Methodist society in Collin county in the home of Joseph Russell in the spring of 1846, just shortly before the organization of Bethel, preaching point on the old Dallas Circuit. My mother finally consented to let them have the old song book of her father, to place in the box and seal in the cornerstone of the church at Plano, then being built. She made the request that should the cornerstone ever be removed that the songbook would be returned to her son, George P. Brown, who was making his home at that time with his mother. Rev. F. O. Miller wrote on the flyleaf of the songbook my mother's request. It may be iconoclasm. Nevertheless, I have offered to give the Methodist church of Plano $25.00 to tear that old church down, so I can get my grandfather's old leather-back songbook in my possession once more. "If there is any portion of the data furnished above worthy of preservation in print, you are welcome to it. If any of it may look better in the waste basket than it would in your newspapers, don't hesitate to consign it there." "P. S. In M. Phelan's 'History of Methodism in Texas,' page 259, a record of the organization of a Methodist society in Collin county in 1846 is mentioned. It was organized by Rev. John Culwell at the home of A. J. Culwell. If a record could be found anywhere of the organization of this church in the home of A. J. Culwell on Honey Creek, now known as the Cottage Hill community, I believe that the name of my paternal grandfather, John D. Brown and wife, would be found listed among the charter members. In this same volume, on pages 286 and 287, the minutes, of the Quarterly Conference, Dallas Circuit, give the names of the preaching places and among them is the Honey Creek Camp Ground and also Russell's. I am morally certain that Russell's was none other than Joseph Russell, my maternal grandfather, and this refers to the organization of the Plano church, the earliest Methodist society or church to be organized in Collin county so far as authentic records can determine the matter. -- G. P. B. "